Posted on 27th March 2018. I love to do yoga, and I love to take photographs. 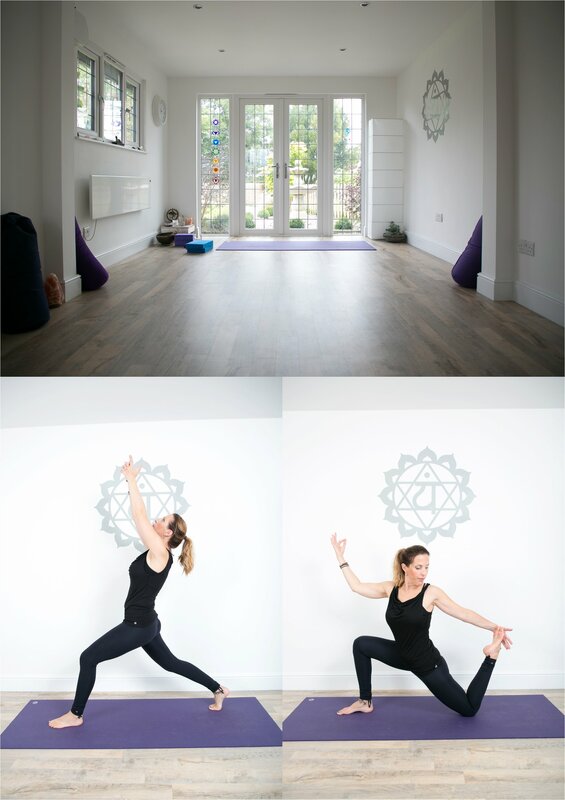 So to be asked to do some photographs for my wonderful yoga teacher Amanda of Akasha Yoga Essex was a real treat. I’m working with more businesses at the moment creating lovely lifestyle photography to represent their brands and style. I’m hoping I’ll be able to do more for Amanda in the future to create some more relaxed, informal lifestyle photographs for her flourishing business. I’ve been going to classes with Amanda for around two years now, and I absolutely adore her classes. As with all businesses, Amanda needed a clearer on-line presence, and asked me if I could help with some images for her new website. So we arranged a good time and I headed over to her beautiful studio in Ridgewell, Essex. Amanda just wanted simple photographs of some poses, so we set up and got shooting! How inspired I was by how easily she got into and held each pose, even with me shooting and saying just hold it a minute more, just a few more shots! I think the images show very elegantly and simply what Amanda does, and I’m thrilled to have taken these photographs for her. If you’re interested in lifestyle and portrait photography for your business, please do take a look over here for some more information.